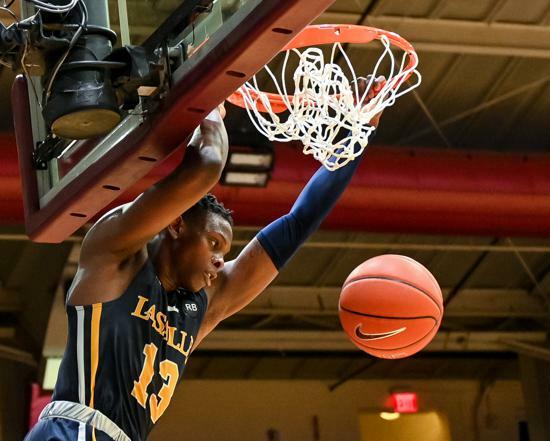 St. Joe’s defeats La Salle 72-62 in a Big 5, A-10 matchup. 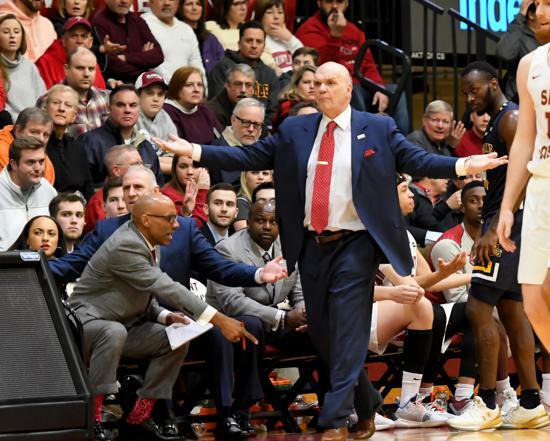 PHILADELPHIA – As Phil Martelli looked on, a voice behind him could be heard screaming out play calls and telling guys where to be. 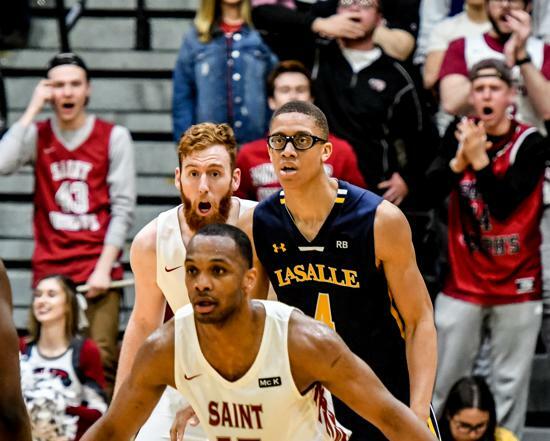 It echoed throughout Michael J. Hagan Arena as Saint Joseph’s took on La Salle in an Atlantic 10/Big 5 matchup. The belting candor isn’t coming from longtime assistants Geoff Arnold, David Duda or Mark Bass. It isn’t coming from the raucous student section behind the basket. Lamarr “Fresh” Kimble is the one providing counsel to his Hawks teammates. 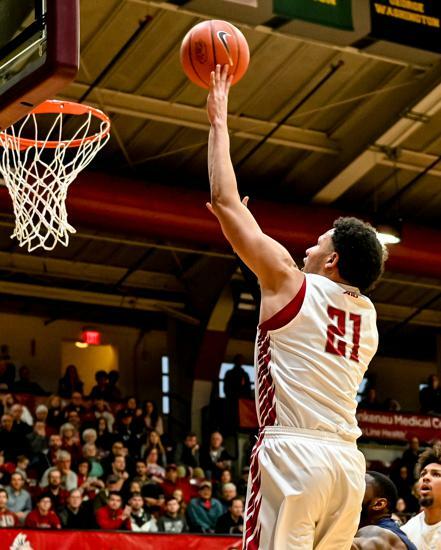 It’s a role Kimble has grown accustomed to and one Martelli demands of him. 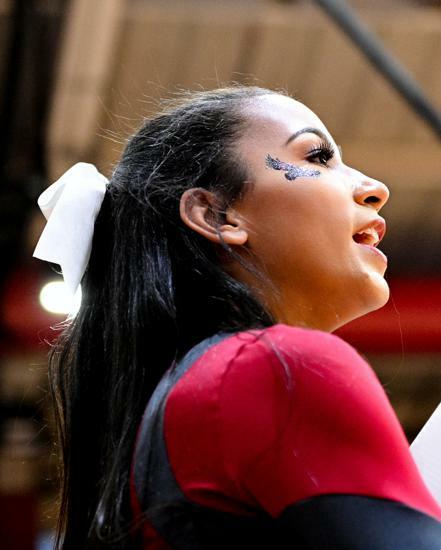 It’s an enigmatic way of doing things that some teams wouldn’t warrant but the Hawks relish Kimble’s leadership and guidance to the players out on the court. He gives them something to think about and offers helpful advice, particularly to younger players. The redshirt junior starts the game and scores nine of his 19 points in the first six minutes of the 72-62 victory. Later, he picks up two quick fouls and has to go to the bench. 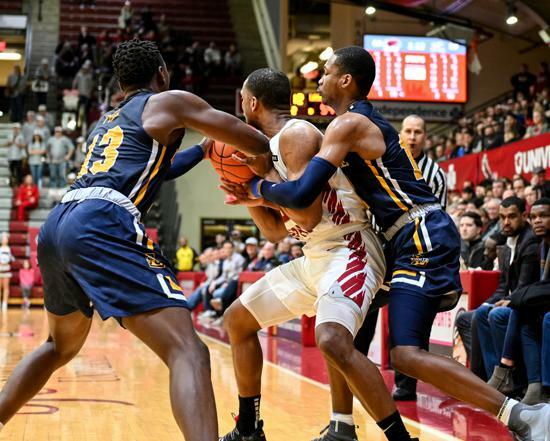 Graduate transfer Troy Holston is inserted and even before taking a seat on the bench, Kimble is telling him how to defend his man and things to be mindful when helping on defense. “Be there. That’s your ball,” he implores. While the Explorers attempted a free throw, Martelli talked things over with freshman Jared Bynum and senior Chris Clover (St. Joe’s Prep). 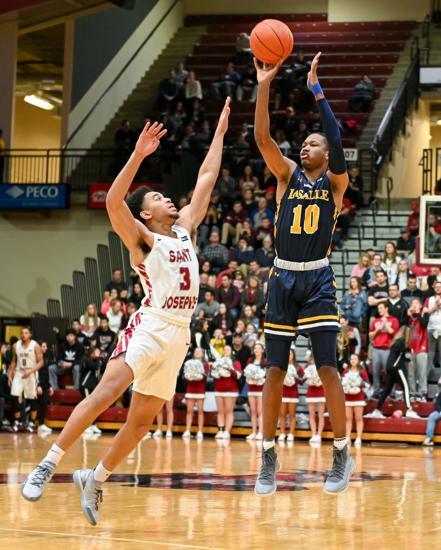 Before they went back to prepare for the second foul shot, Kimble pulled Bynum (11.1 ppg), a 5-foot-10 point guard who has flourished in his first season, aside and directed the young floor general on how to initiate the offense while he’s out of the game in foul trouble. In his first start since January 12, the Hawks were receiving the mentorship that the team captain has displayed for much of his tenure on City Avenue. While Martelli demands it of him, Kimble demands it more of himself. It’s a sound Martelli appreciates, even when he has his head in his hands following a Hawks’ turnover. 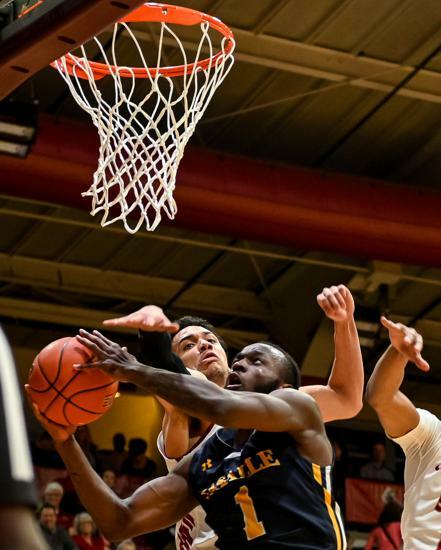 That uplifting presence adds a dimension that has been missing at various times over the last three seasons but has endured in the hearts and minds of Kimble’s teammates. 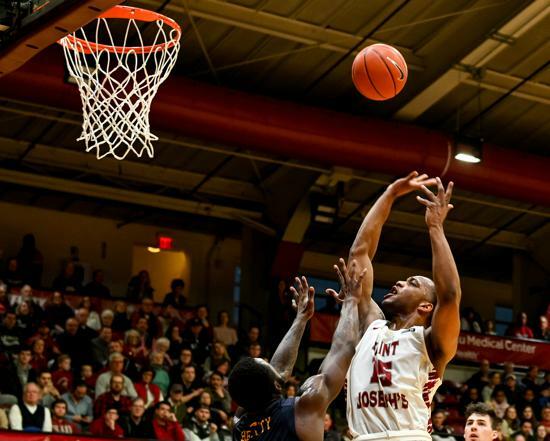 While St. Joe’s has been plagued by injuries over the last few seasons, no one player has endured more hardship than Kimble. 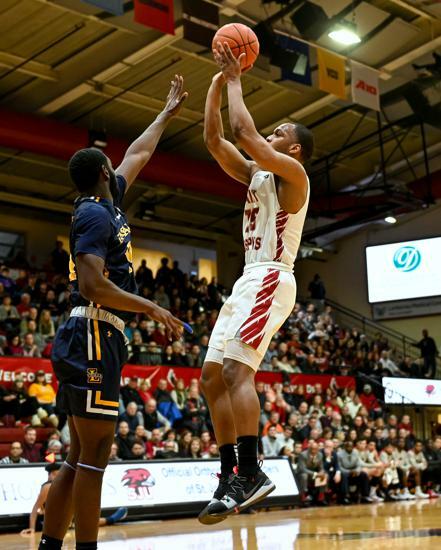 He began his career with the Hawks on to a hot start in the 2015-16 season hitting the game-winning three-pointer in overtime to defeat Temple. 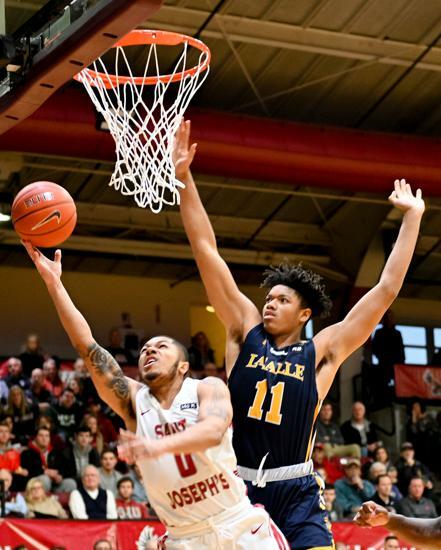 He came off the bench to average 6.0 points per game and helped the Hawks claim the Atlantic 10 Tournament championship on a team featuring league POY DeAndre’ Bembry (Atlanta Hawks) and Isaiah Miles. 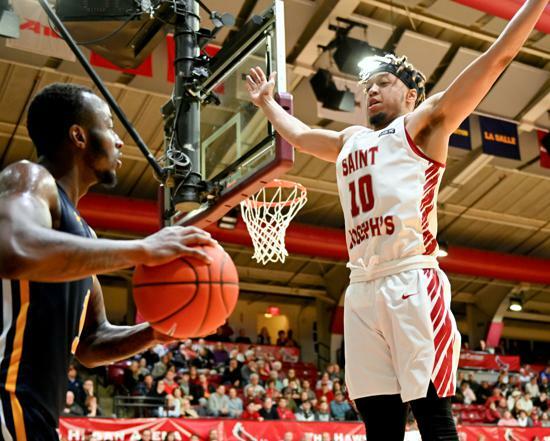 He was named to the A-10 All-Rookie Team and closed out the year with 11 points against Oregon in the second round of the NCAA Tournament. The impression that Kimble made on his teammates in his inaugural season led to him being named a team captain as a sophomore. 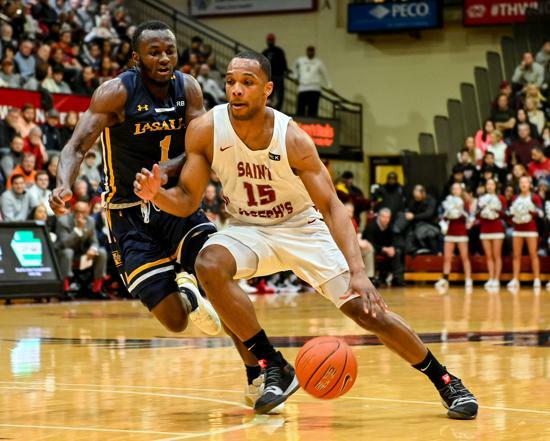 He became the third sophomore named captain in program history and the first since Bembry in 2014-15. 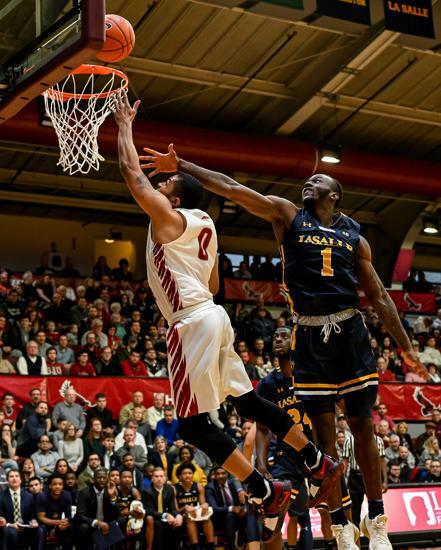 He added another game winner to his resumé, this time against the Explorers. He was second on the team in scoring at 15.5 ppg and was flourishing in his first full season as a starter. 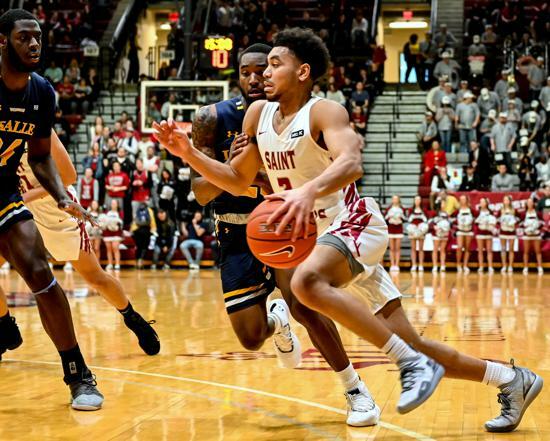 Then, he fractured the fifth metatarsal of his left foot against UMass on Feb. 11, ending his season with seven games remaining. Kimble wasn’t about to allow an injury to derail his career and he rehabbed back to full strength. 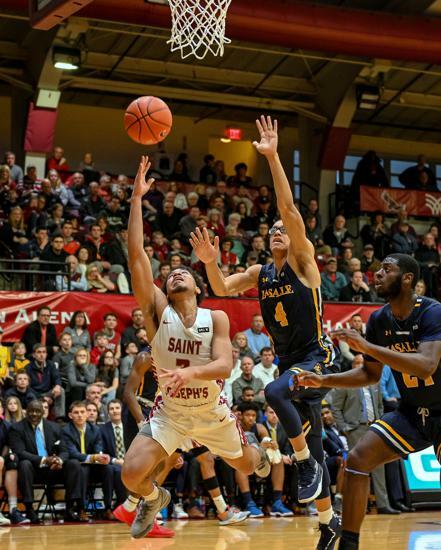 His work ethic and drive to get back on the court rubbed off on his St. Joe’s teammates and he was named captain for the second year in a row. 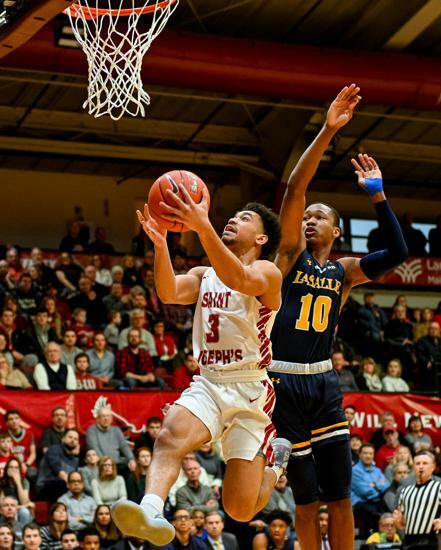 His junior year ended thirty minutes into the first game of the season as he re-injured the same metatarsal in his left foot he did as a sophomore. He underwent surgery and missed the rest of the year. 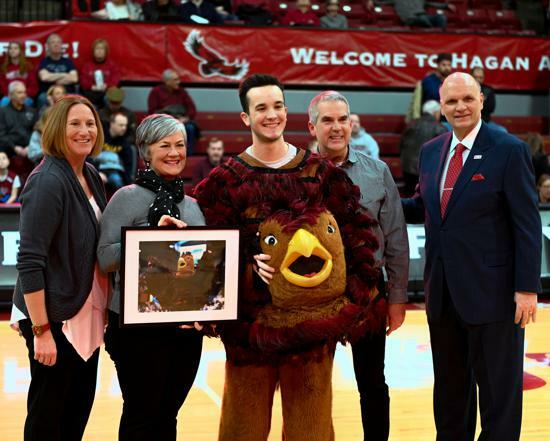 He did receive a medical redshirt, allowing him an additional season with the Hawks. 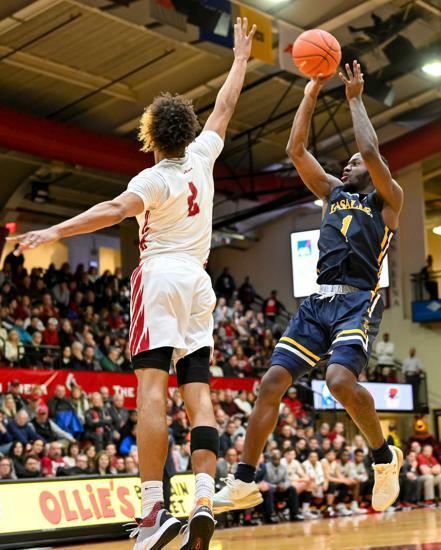 This is the point where Kimble’s career could’ve gone one of two ways: the mounting injuries could’ve shaken his confidence to the point where he didn’t return to the player he once was or he goes through rehab again to come back better than he was before. 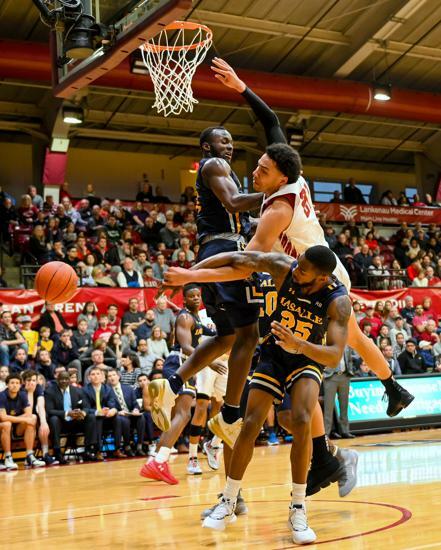 Martelli knew the path Kimble would take because his teammates voted him captain for two consecutive seasons for a reason. They know he leads by his words and example, and he wasn’t about to allow a second injury to stymie what he had worked so hard to accomplish. 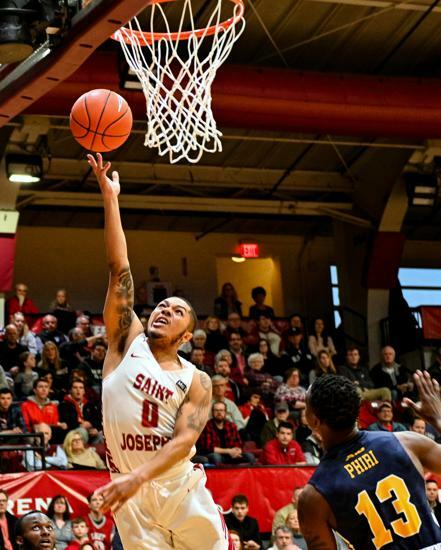 Kimble’s grit was something he had well before he committed to play for Martelli at St. Joe’s. 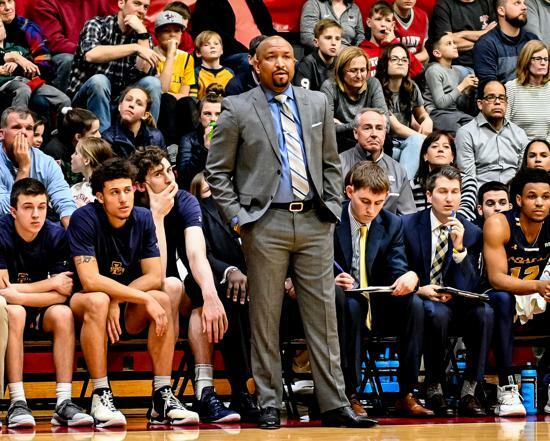 He was as accomplished a player as any head coach could hope for coming out of high school following his time at Neumann-Goretti under head coach Carl Arrigale. 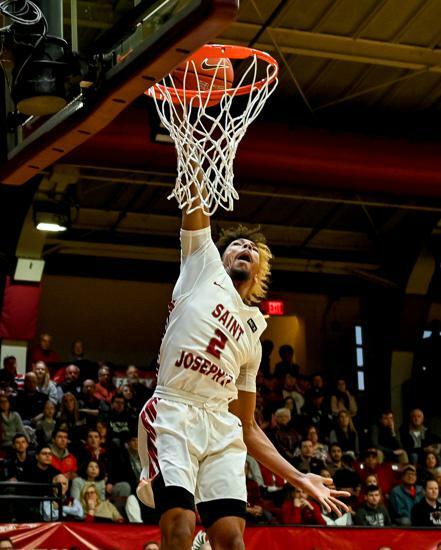 As a freshman, Kimble came off the bench for a Saints team that won its fourth straight Philadelphia Catholic League title in 2012. 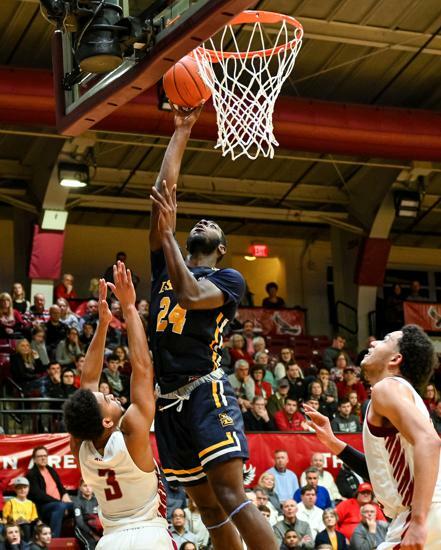 That roster boasted Ja’Quan Newton, the school’s all-time leading scorer and eventual four-year player at Miami (Fl. ), Derrick Stewart, who played at Holy Family, and John Davis, who went on to Towson. 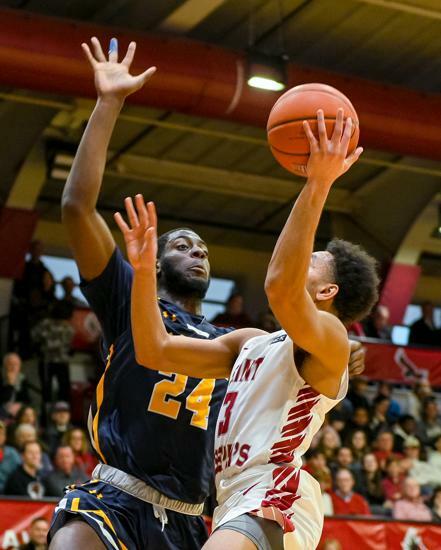 The majority of the team returned in Kimble’s sophomore year, his first as a starter for Neumann-Goretti. 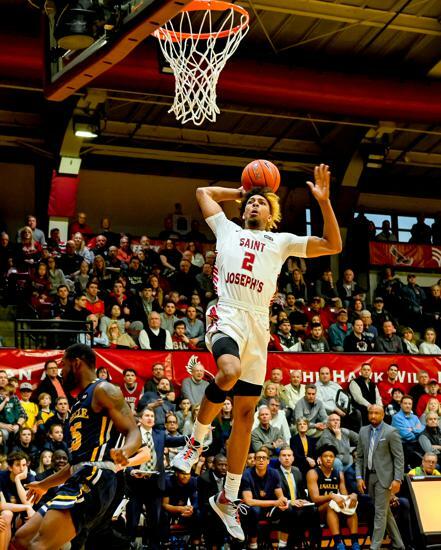 He was named Second Team All-Catholic after avg. 10.4 ppg for a team that won its fifth PCL title in a row. 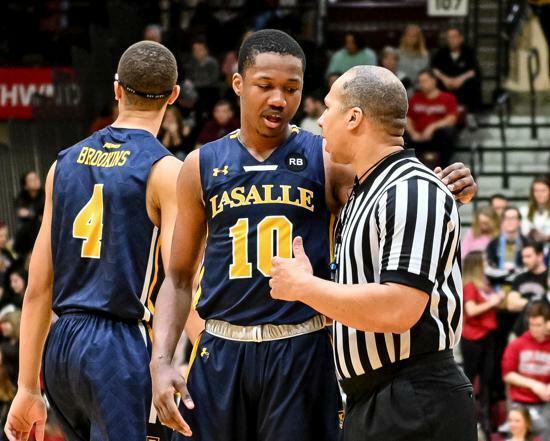 It was as a sophomore that Arrigale began to see the type of player Kimble could become but the leadership aspect hadn’t revealed itself yet. 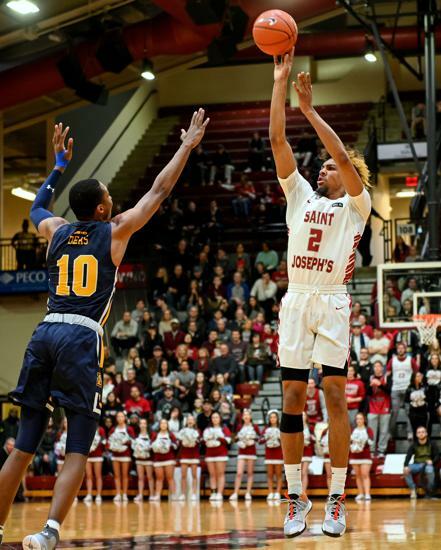 His junior season may have been his most accomplished of his high school career as he was named First Team All-Catholic and helped the Saints become just the second Catholic League ever to win six consecutive league titles. 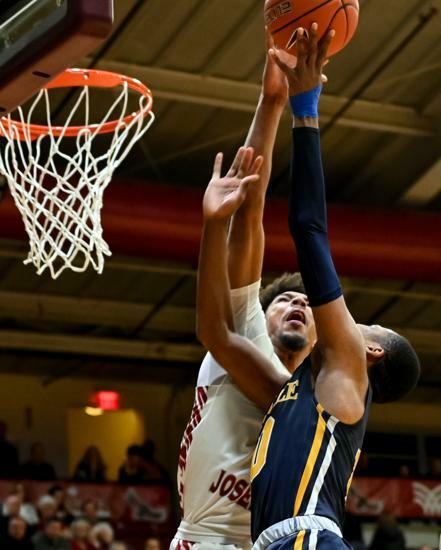 Along with league MVP Newton, Kimble was instrumental in leading Neumann-Goretti to its first state title since 2011. 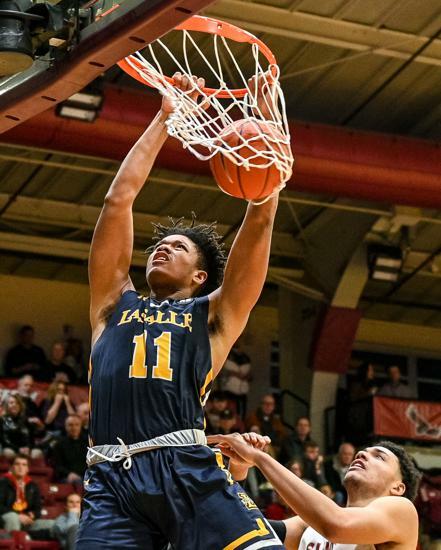 With Newtown gone, Kimble’s opportunity to showcase his leadership qualities came as he was looked to guide a new wave of talented players for Arrigale. 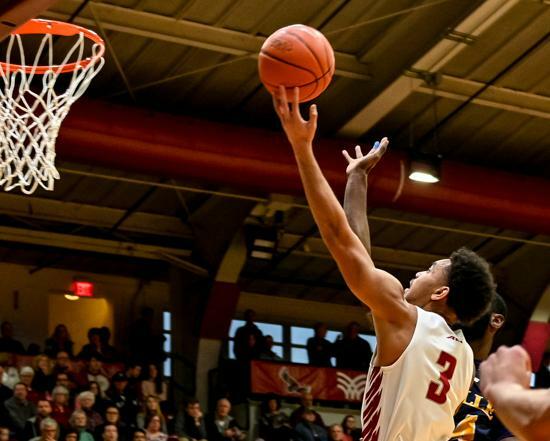 The Saints run of six straight PCL crowns ended at the hands of Roman Catholic in the title game in Kimble’s senior season. Still, he capped things off by being named First Team All-Catholic once again and leading the team to a second consecutive state title. He finished his career with 1,166 points. His success with the Saints showed the perseverance that he always had within himself. 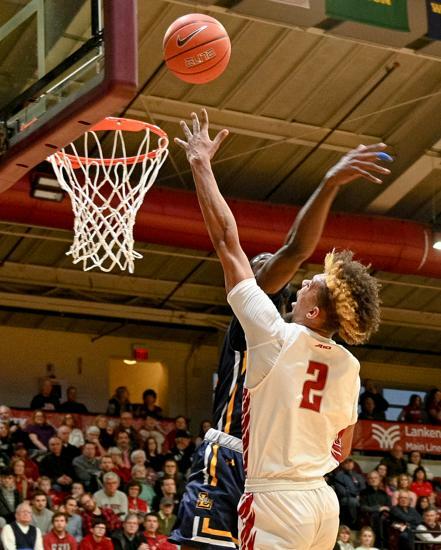 While at Neumann-Goretti, he developed into the high-volume scorer and composed player that he is now while beginning to scratch the surface of the type of leader he could be. He admitted he never discussed it with Arrigale but it’s something that has always been natural for him. 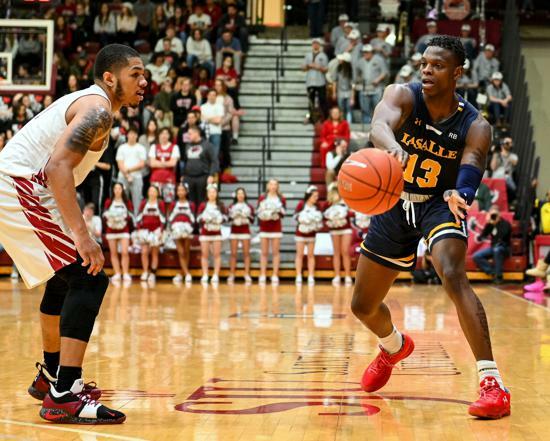 As the 2018-19 season approached, Kimble kept the same mentality that had stirred him right during his rehab from the first left-foot fracture. 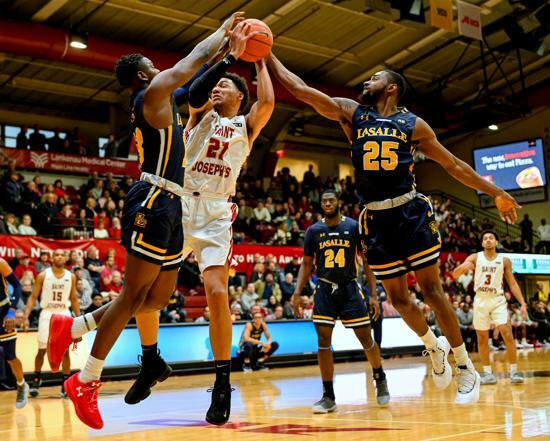 Just as he did before, he returned to the court and not only regained his starting spot but was named captain for the third time in three years. 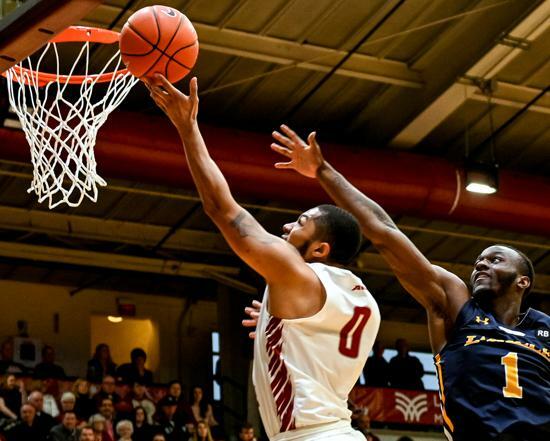 He appeared back to his former self, particularly in a 31-point performance against Nov. 18. 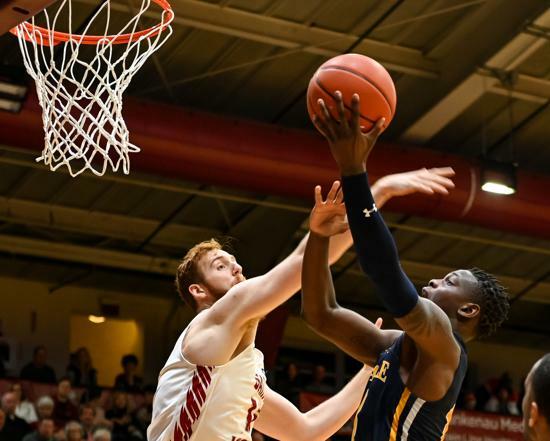 As fate would have it, another injury came about as he suffered a fracture in his right hand against Duquesne on Jan. 12, forcing him to miss 10 games. The recurring theme is an aspect Arrigale has seen effect the Hawks as a whole but he understands what his former pupil has endured before and how he would bounce back again. He returned to the lineup for Feb. 23’s game vs. UMass. Since returning he’s avg. 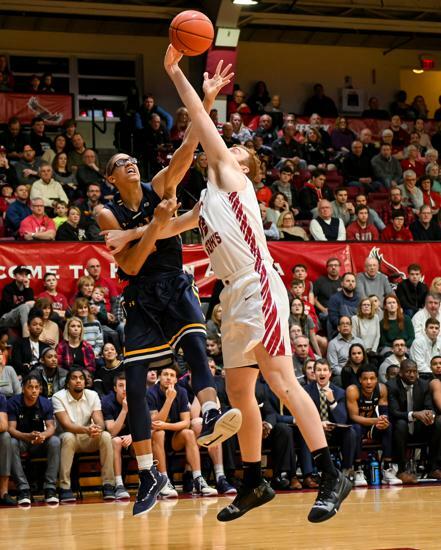 14.8 ppg which included starts against the Explorers on Saturday and Tuesday against Rhode Island. 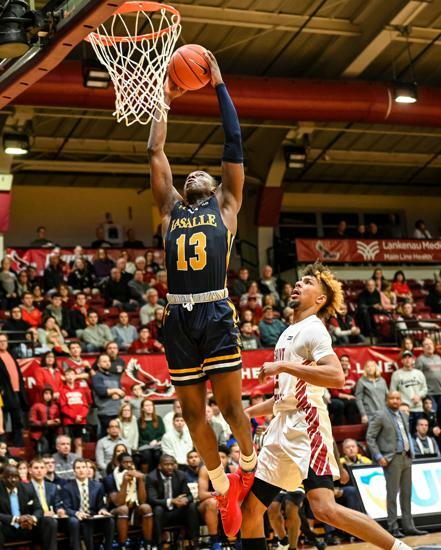 When Martelli recruited Kimble, he knew the winning pedigree he had developed in high school and credits that as the underlying factor in getting him through all of the injuries. 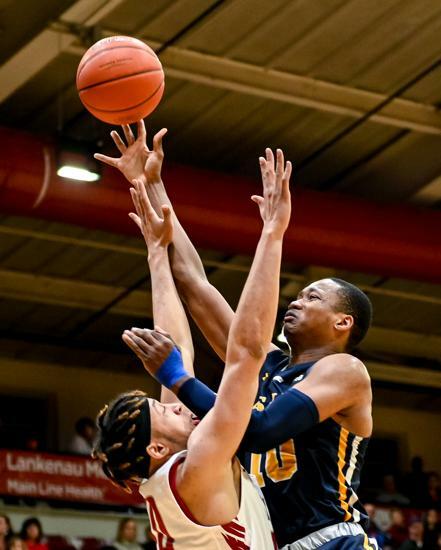 The Hawks still have a one regular-season game against VCU then the A-10 Tournament. 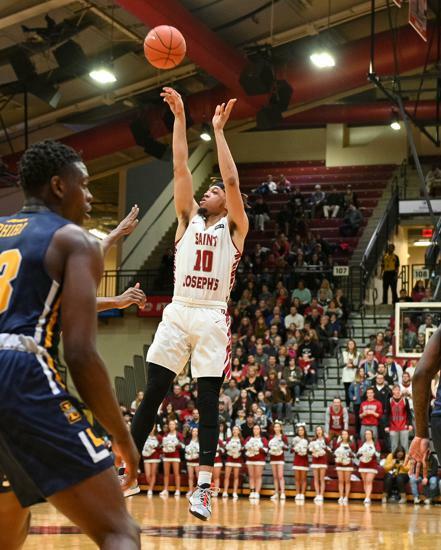 You can expect to see Kimble making the most of his opportunity on the court and coaching up his teammates on the bench behind Martelli. At the end of the day, he’s just happy to be playing again. ©2019 Philly Sports Digest / SportsEngine. All Rights Reserved.